South African burger chain Wimpy wanted to create awareness and word-of-mouth around the introduction of a new braille version of their menu. 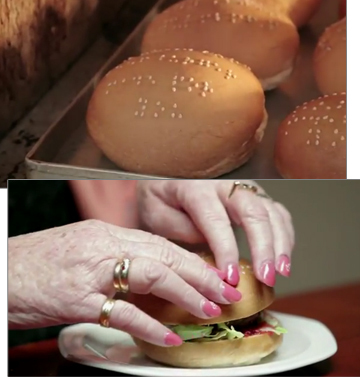 15 of the special burgers were created and then delivered to blind people at Blind SA, Braille Services, and Louis Braille House; three of South Africa’s leading institutions for visually-challenged people. The word then spread through their braille newsletters, publications and newsreaders. The campaign was created by Johannesburg ad agency Metropolitan Republic.